American Apparel 100% Cotton Fine Jersey T-Shirt, Available in the US only. Express your disdain for alleged collusion without uttering a word. Our 100% cotton American Apparel t-shirt comes in sizes: Small, Medium, Large, Extra Large, and Extra Extra Large. Listen, this isn’t some off-brand Gildan Heavyweight, where the sleeves are all weird and bulky; feels like you’re wearing a shirt-shaped pita bread. This modern, American-made graphic tee is made of sweet soft cotton. Also, the t-shirt is red, so if you’re the type of colorblind that can’t see red, or everything is red, be aware: this is a bold, red shirt. It’s a comfy red t-shirt, that doesn’t take any sh*t.
WARNING This t-shirt may attract negative attention from mouth-breathing racists, neo-conservatives who still believe in Reaganomics and trickle-down theory, reptilian/shape-shifting corporate lobbyists, mentally ill Trump supporters and Russian new media propagandists. 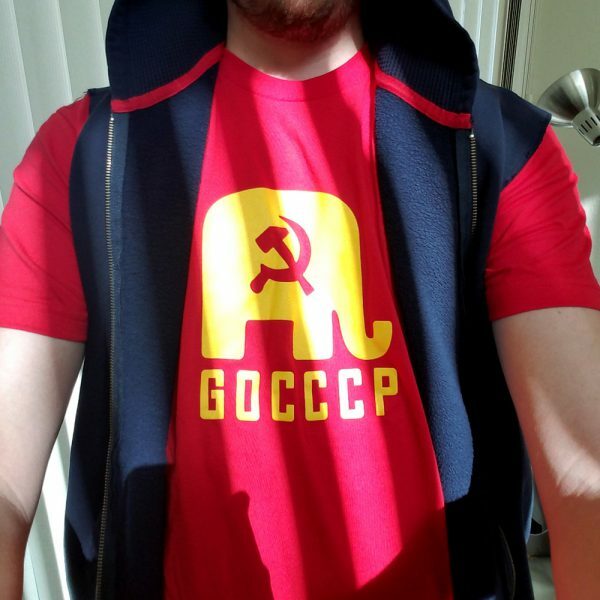 Please appreciate that the wearer of this graphic tee accepts complete responsibility, absolving us and all our subsidiaries and sh*t, of any/all liability for: bodily harm, criminal prosecution, and all forms of state-influenced misfortune which may result from the wearing of this American-made, 100% cotton t-shirt. By purchasing this t-shirt, you accept that you may be deemed an enemy of the state by the Trump administration. Ships from Los Angeles CA and, provided the state isn’t on f*cking fire, shirts should arrive within 7-10 business days of order being placed. *Not cool, bull-fighters. Chill the f*ck out with that sh*t. Try being bull-listeners. 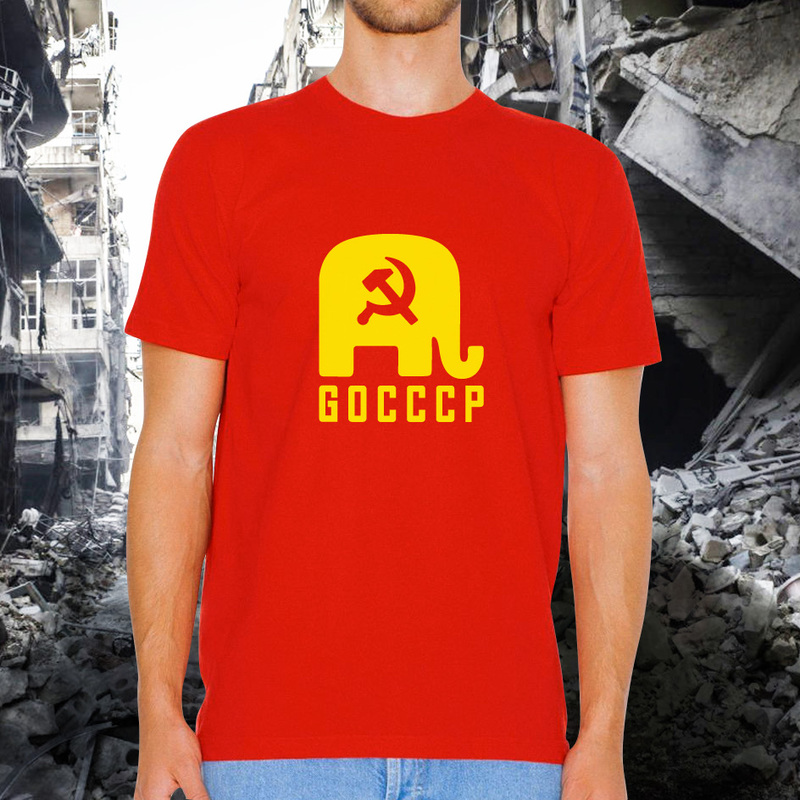 © 2019 GOCCCP T-Shirt - Malcontent Apparel. All Rights Reserved.